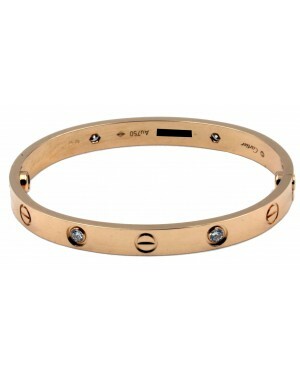 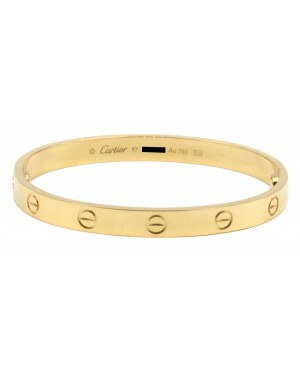 Cartier was dubbed "the King of Jewelers" by King Edward VII and has a history dating all the way back to 1847. 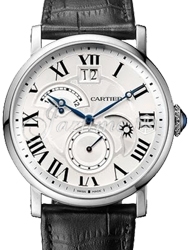 Founded in Paris, France by Louis-François Cartier, the company made its mark in 1904, through the introduction of the world's first modern, ultra-flat wrist watch, the Santos de Cartier. 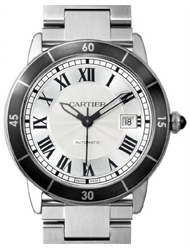 Since then, the manufacturer has remained at the forefront of the industry, revolutionizing watch creation with the first vaulted case and the first rectangular dial. 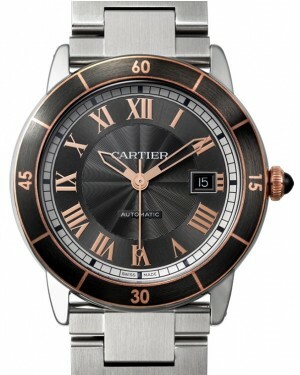 Today, the company has a reputation for looking beyond the fashion of the time with endorsements by celebrities which helped generate a sense of prestige coupled with the company's expert engineering has ensured Cartier's value. 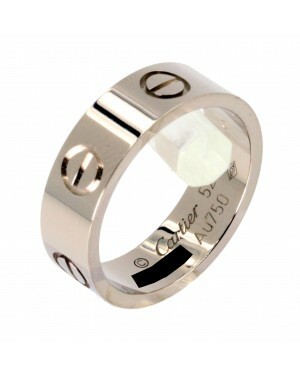 Société Cartier, or Cartier as the company is better known, was established in Paris, France by the master jeweller, Louis-François Cartier, back in 1847. 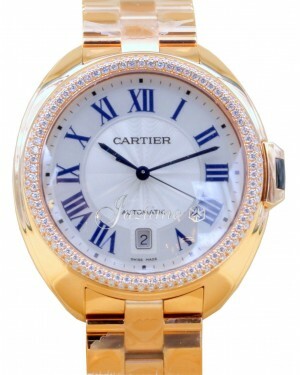 Over the course of its 170 year history, the brand has developed a reputation for making exquisite jewellery, which has been worn by Royals from King Edward VII through to Kate Middleton. 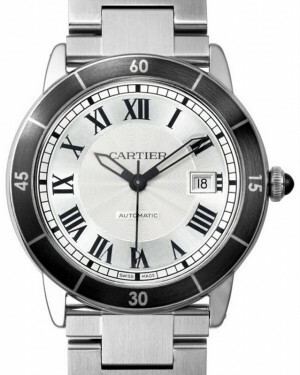 Although the company also specialises in creating necklaces, bracelets, rings and earrings, its founder had a strong interest in timepieces and Cartier have been associated with the production of luxury watches ever since. 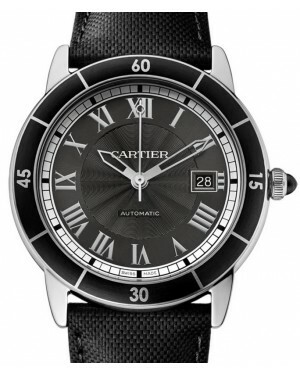 In this article, we explore the history of Cartier's watch-making division and some of its most notable models. 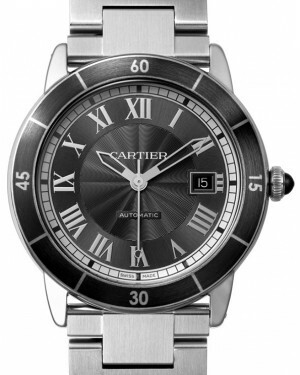 During the company's infancy, Cartier produced a number of clocks and other timepieces for special clients. 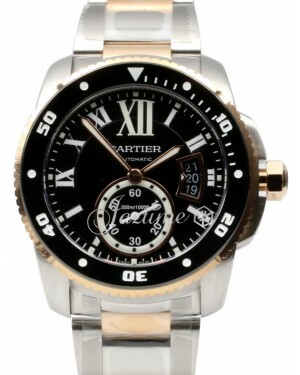 However, the first major mass-produced wristwatch associated with the brand is the Santos–Dumont timepiece, which was designed in 1904 and went on sale to the general public in 1911. 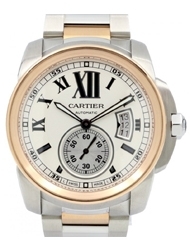 This model, which is sometimes referred to as the first mainstream men's luxury wristwatch, was originally produced for aviation enthusiast Alberto Santos-Dumont and featured a distinctive square shaped dial. 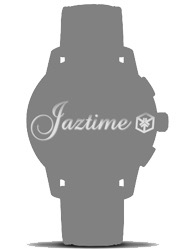 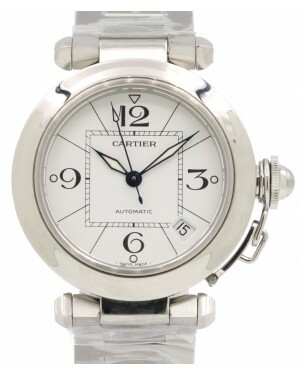 It was also notable for being one of the first watches to feature solid lugs mounted to the strap. 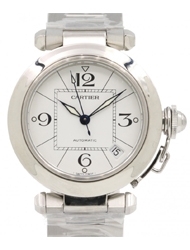 Other models followed soon after, including the art deco style Tonneau watch, which was unveiled in 1906, and the Tank model, unveiled in 1917, during the First World War. The Tank was released for general sale two years later and its clean lines and rectangular case shape provided a unique aesthetic, which remains to this day. 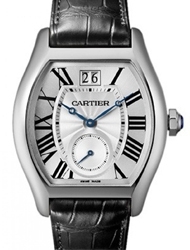 A number of factors, including the Wall Street Crash of 1929, contributed to an extended period where Cartier were designing and creating relatively few new models. 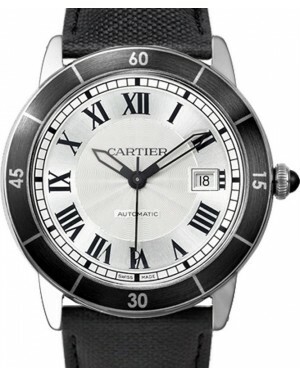 Nevertheless, 1931 saw the creation of a new water-resistant version of the Tank, marking Cartier's first attempt at a waterproof timepiece. 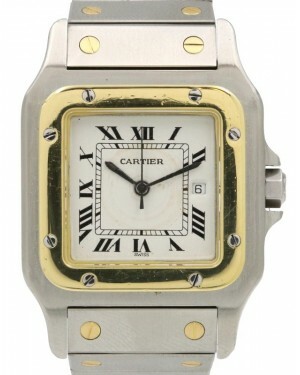 The next major entry into the Cartier catalogue did not arrive until 1957, when the brand launched the Baignoire model. 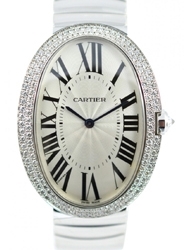 Inspired by the 1906 Tonneau, this watch featured an oval case and was decorated with diamonds. 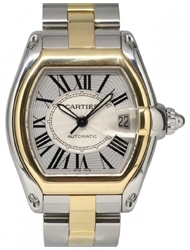 In 1978, the Santos-Dumont model was re-designed and relaunched under the name Cartier de Santos. 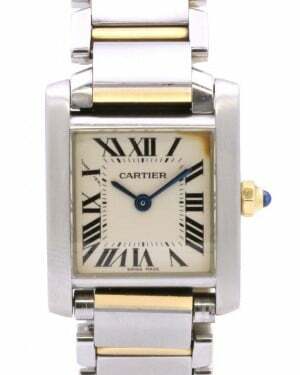 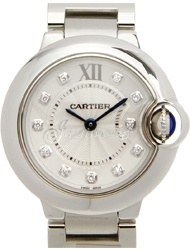 Then, in 1989, Cartier further expanded their range of timepieces with the release of the Tank Américaine. 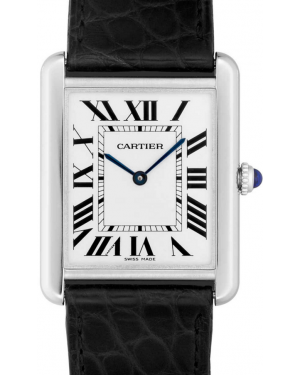 This watch built upon the basic Tank aesthetic, but featured a significantly more elongated rectangular shape than its predecessors. 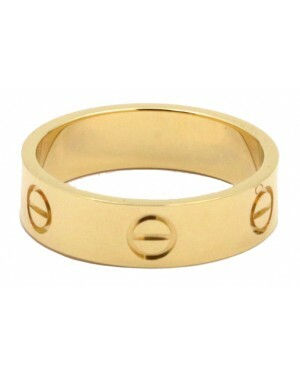 In addition, the edges were more curved, giving it a slightly softer appearance. 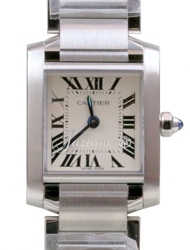 Moving into the 1990s, Cartier continued to enhance their catalogue with the release of the Tank Française, which was made available for sale in 1996. 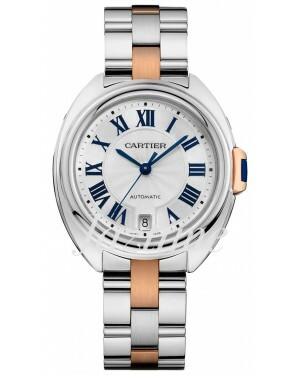 This model featured sharper edges than both the Tank Américaine and original Tank models and also had a metal-link bracelet, giving it a slightly more modern aesthetic. 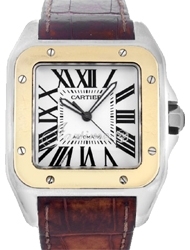 Following the release of the Cartier Santos 100 in 2004, the next big year for Cartier releases came in 2007, when the brand introduced the Ballon Bleu de Cartier. 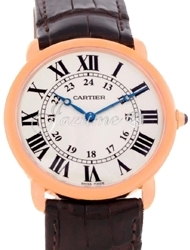 This model was said to be inspired by pocket watches and had a very round, balloon-shaped case, as well as a bridge protecting its crown. 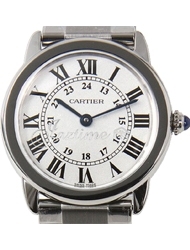 This was followed soon after by the release of the Rotonde de Cartier, which had visual similarities, but did not have the protective bridge. 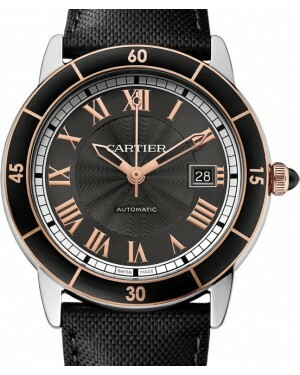 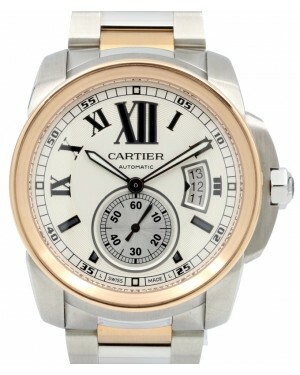 In 2010, the Calibre de Cartier was released, giving the company a distinctly sporty model to add to their collection. 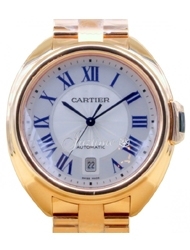 Then, in 2015, the company introduced the Clé de Cartier. 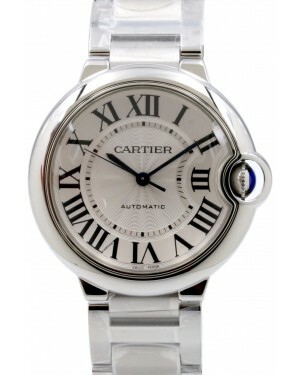 On this model, the bezel is round, but the case is slightly more square, resulting in a unique, easily recognisable overall shape.